Carthage was founded in 814 B.C. and is was one of the leading trading routes in the Mediterranean region and a dominant military force in ancient Africa and Europe. The northern African country of Carthage is considered among the classical civilizations in human history. The center city of Carthage was located east of the natural lagoon called Lake Tunis, near the Gulf of Tunis (Mediterranean Sea), in the African country currently called Tunisia today. 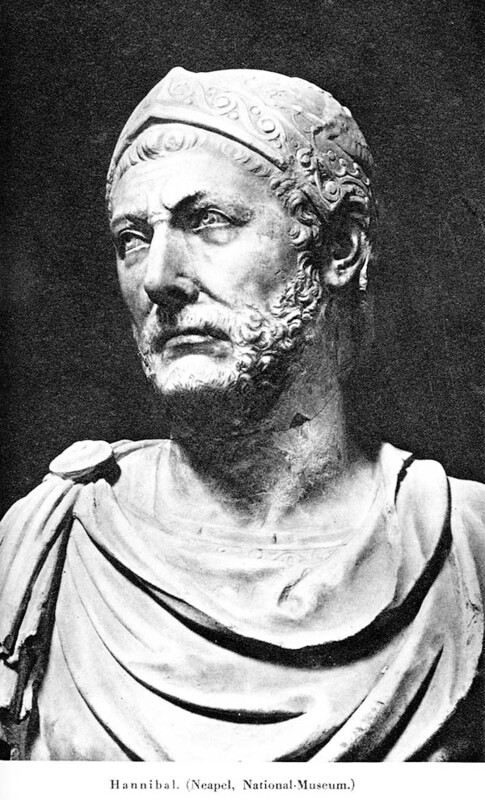 Hannibal Barca, son of Hamilcar Barca, was born in Carthage in 248 B.C. By age 25, he became a general in the Carthage army. He would go on to gain a reputation as one of the greatest military generals in history. Hannibal’s Carthage army conquered parts of Spain. In its Second Punic War in Italy, Hannibal marched his famed army of African war elephants through the Italian Alps to conquer northern Italy, in a military story that would survive for more than 2,000 years in recorded human history. The famed Battle of Cannae took place on August 2, 216 B.C. near the ancient town of Cannae in Apulia (Puglia), in southeast Italy. The Roman consuls of the famed battle prepared to meet Hannibal’s Carthage military forces at the ancient village of Cannae. Roman soldiers had advanced to Cannae with a count of approximate 80,000 troops. The Carthaginians had about 40,000 infantry and 10,000 cavalry soldiers at the Battle of Cannae. At the onset of the battle, the Roman forces were crushed by Carthage military troops that included allied forces among the Africans, Celts of southern France (sometimes referred to as the Gaul in English), and the Spaniards. The Carthage and allied forces formed a crescent around Roman troops. “For a short time the Iberian and Celtic lines stood their ground and fought gallantly; but, presently overpowered by the weight of the heavy-armed lines, they gave way and retired to the rear, thus breaking up the crescent. The Roman maniples followed with spirit, and easily cut their way through the enemy’s line,” reports Ancient History Sourcebook: Polybius (c. 200-after 118 BC): The Battle of Cannae, 216 BCE, Fordham University (New York) archives. The Battle of Cannae is regarded as one of the greatest tactical feats in military history. Hannibal would win many battles with the Roman Empire, but not the war. Rome destroyed the city of Carthage in Third Punic War when Roman general Scipio Aemilianus besieged city in 146 B.C., nearly four decades after Hannibal’s death in 183 B.C. Two centuries after Hannibal’s death, Roman Emperor Trajan (98-117 A.D.) began building hexagonal inner harbors in Rome. The hexagonal form for inland trade ports in Carthage has been uncovered in the archeological record to pre-date those of Rome.